It has been a busy week for the engineers and developers over at Microsoft. Not only did this week mark the end of support for Windows Server 2003, but the recent hack of the Italian IT security firm Hacker Team has required multiple software providers to release patches to vulnerabilities that were disclosed among the 400 GB of data that was compromised last week. On Tuesday, July 15 – Microsoft released 14 bulletins, covering a total of 58 vulnerabilities. Tuesday also saw the last release of updates for Windows Server 2003 as Microsoft is officially no longer supporting the server operating system. Among the patches released on Tuesday was a fix for the 3 zero-day vulnerabilities (as we talked about in our previous post) found in Adobe Flash for Internet Explorer. It is highly suggested that system administrators apply these patches as soon as possible as hackers have already gained access to systems thanks to the data breach last week. In addition to the Adobe Flash patch for Internet Explorer, Microsoft also released patches for vulnerabilities in Microsoft Office, its SQL Server, and for the Windows operating system. With the last patches for Windows Server 2003 going live on Tuesday, July 14; Microsoft is officially putting Windows Server 2003 to sleep. While many businesses still haven’t upgraded to the newer releases of Windows Server or migrated to other applications such as Microsoft Azure, we are hoping most of these companies at least have plans in place to make the switch. So what’s the risk of continuing to run Windows Sever 2003? Microsoft is no longer going to release patches for security vulnerabilities or system bugs for Windows Server 2003. This means that anyone running Windows Server 2003 is no longer protected from future friends, and the system is also vulnerable to system instability. Continuing to run Server 2003 seriously puts your company’s data at risk. The data breach last week released almost half a terabyte of sensitive data compiled from companies around the world. It took over a week to discover that Adobe Flash had not 1 but 3 major vulnerabilities detailed in the data that was hacked. Who knows what information about Windows Server 2003 got released with the breach! If a hacker was able to exploit a vulnerability in Windows Server 2003 users would be sorry out of luck as Microsoft is no longer supporting the operating system. So What Can You Do (If You’re Still Running Server 2003)? Contact your IT system administrator immediately. 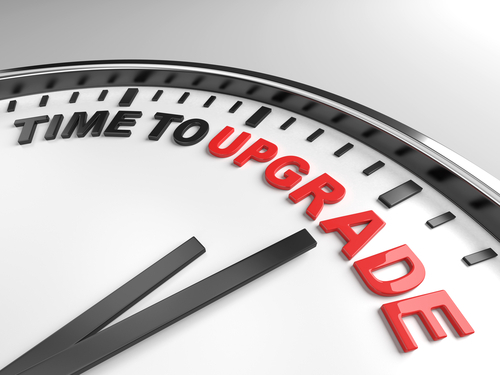 Migrating to a new server is a time-consuming process, but time is of the essence. Don’t have a system admin? Contact Privo IT. One of our cloud migration and IT infrastructure experts will help you find the right replacement for Server 2003 and will assist in making a smooth transition.